Caught in the crossfire of her parents’ acrimonious divorce, witness to their battles, intrigues and affairs, neglected and exploited, Maisie is a child who knows too much about the world of adults. James’s portrait of a little girl who maintains her goodness and dignity in the face of the bitterness and profligacy of her warring parents is inspiring. Most didn’t get past the preface. Those who did found lack of plot and character development. Characters were all horrible. Modern storyline, but still not liked. Sentences were long convoluted and hard to follow. The one person who did finish the book just wanted to know how it ended. 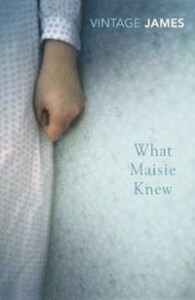 This entry was posted in Book Reviews, Classic Literature, Fiction and tagged Henry James, Parramatta City Library, Second Tuesday Book Group, What Maisie Knew by admin. Bookmark the permalink.